Every act of self-discipline you engage in moves you one step closer to your goals and every exception takes you one step further away. Based on the goals I set, am I ahead, on or below target? Your answer is directly tied to your willingness and ability to remain focused on the key actions necessary for success. You are either buying or selling… If you are on or ahead of target, you are a seller and you’ve sold yourself on the value of discipline and you’ve stayed focused in spite of the world of options and temptations that circle around you all the time. If you’re below target then you are a buyer. and you’ve bought the same excuses that have lead so many others down the pathway of mediocrity. The things you buy are procrastination, lack of discipline, self doubt and whatever else happens to be your poison of choice. To repeat history all you have to do is to continue to be a buyer. Buyers consume a big bag of lame excuses from their own minds. Contrary to popular belief, freedom does not arise from letting it all hang out. 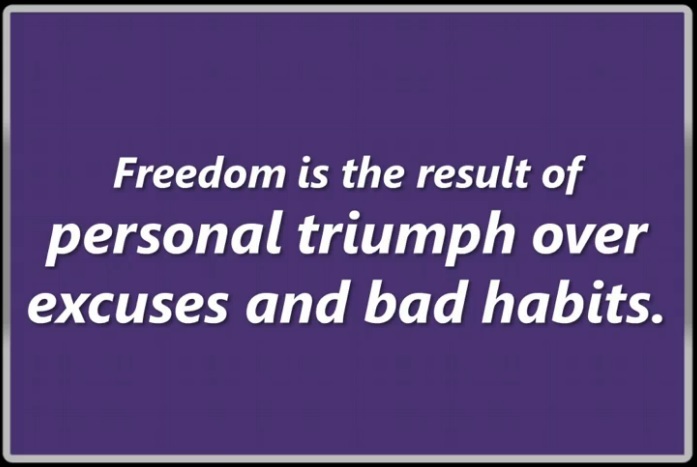 Freedom is the result of personal triumph over excuses and bad habits. Excuses are like toxic waste to your potential. To experience true freedom you must prove to yourself that you are the master of your own destiny. by your excuses and lack of discipline. Self discipline is an act of cultivation. 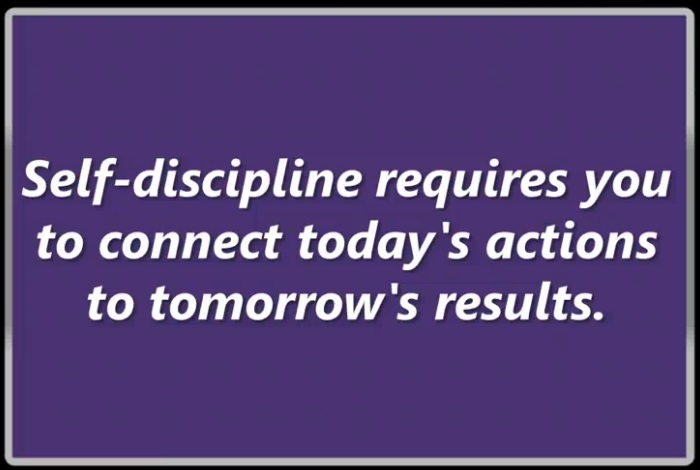 Self discipline requires you to connect today’s actions to tomorrow’s results. Today’s Challenge: Remain focused on your goals and discipline yourself to stay the course and accomplish every goal you set. How can I be more disciplined with my time? How can I be more disciplined with my money? 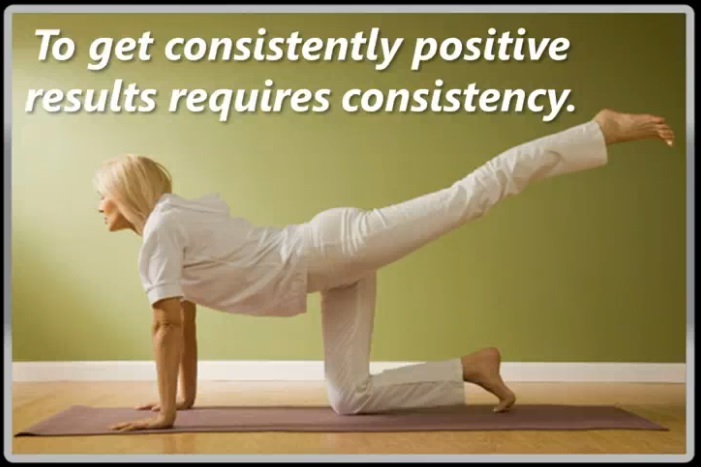 How can I be more disciplined with my eating and exercise habits? Self discipline is a habit it is not situational but it is applied situation by situation. 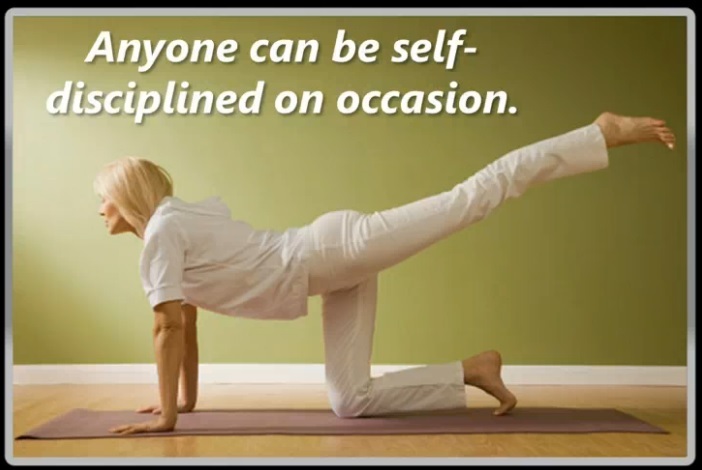 Anyone can be self-disciplined on occasion. The question is not do I but where to I need to exercise greater self-discipline in my life?